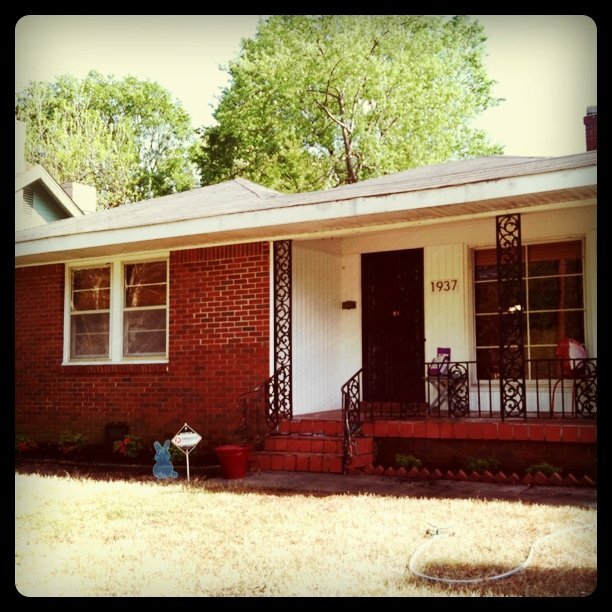 Makin' it in Memphis: Exterior: More Progress. After consulting with the Dabney's Nursery man, I decided on pink Gumpo Azaleas for the right side (needing something short, about 1-2 ft) and hot pink Hino Azaleas for the left (needing something 2-3 ft). While these guys are short now, they will grow to lovely (I hope), mighty pretty bushes. If you squint, you can see the bushes on the ground (and my little wire bunny decor making an appearance even though it is Lent still). awesome! 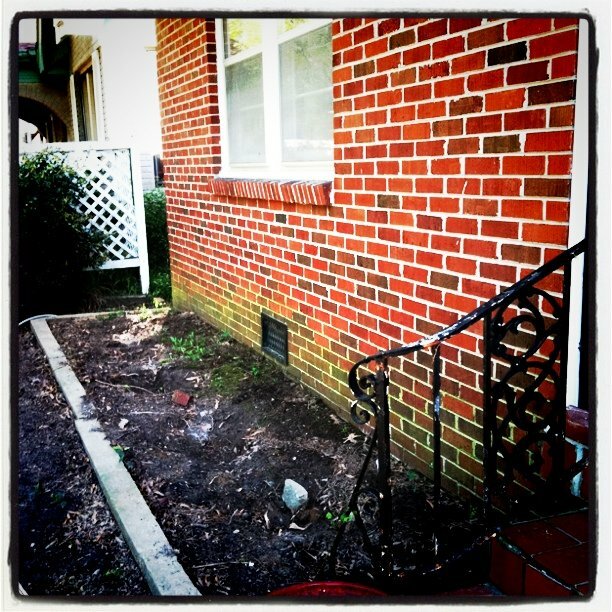 removal of boxwoods and replacement with white azaleas is on the stone house to-do list this season as well. thanks for the great tips on craigslist and the nursery! free removal and $35 replacements can't be beat! We are SO from Memphis. A trip to the Capitol.